Homes are plentiful throughout Texas and the internet makes it easy to find all the information you may want before spending the increasingly expensive gas to see potential homes. Just like anything else, having a plan with your online home search will save you time and energy. 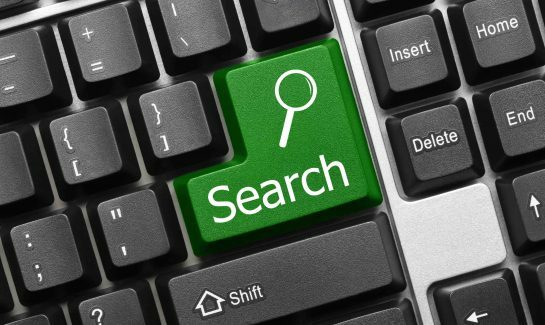 Below you will find helpful tips to help you maximize your online search. In the beginning you will want to have a basic list of amenities you must have in your new home; this is known as the browsing stage. This could be the number of bedrooms, bathrooms, size of the lot or how many garage spaces you might need. Starting with broad search criteria helps you stumble upon things that you may have not considered or even know was available in homes today. Be open minded and consider new things you might not have considered as you search. The most important thing about this stage is deciding what you want and don’t want. Some things are necessities while others you may want to write down as optional to keep your search moving along. This is your information gathering stage. While there are many different real estate websites to help you in your home search, our website is robust with search functions and faster than ever. Since the multiple MLS systems used on our site are updated in real time, and the integrity of the information is monitored to insure sold properties are removed and new properties are added daily, you can be rest assured that you will never miss any new properties that come on the market. Our site provides important details about each and every property along with map features and save features. The whole concept behind this site is to be buyer friendly, easy to use with the most information. So you’re not closing on your dream home yet, but you are narrowing down the search and getting closer to your home purchase. If you’re in the market for a new home, be encouraged that many of the builders use the latest in technology and materials to produce homes that are both beautiful, practical, and environmentally sound. Modern builders understand that quality is foremost in an improving market and our website helps you find information you need to know before choosing your top properties you want to view and possibly purchase. Here is where the beginning of the hard decision making becomes important as you write down what you have found, and begin to compromise or readjust your expectations. The more you can decide now, the less you will have to worry about later when you actually see the properties. One of several advantages of an online home search is being able to browse homes that suit your taste without any pressure. Once you have the homes you have listed to view, you can prioritize them based on location, budget, and neighborhoods. Our advanced search features help you go from casual browsing to finding the luxury homes that really meet your needs based on several advanced search features. You are not alone in making this decision and an experienced broker will help you every step of the way. Even with online search capabilities, investing in a luxury home should be approached with the utmost care and any help available should be used.